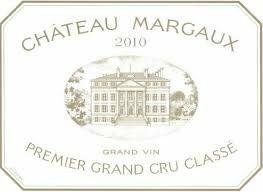 "The 2010 is a brilliant Chateau Margaux, as one might expect in this vintage. The percentage of Cabernet Sauvignon in the final blend hit 90%, the balance Merlot and Cabernet Franc, and only 38% of the crop made it into the Chateau Margaux. Paul Pontallier, the administrator, told me that this wine has even higher levels of tannin than some other extraordinary vintages such as 2005, 2000, 1996, etc. Deep purple, pure and intense, with floral notes, tremendous opulence and palate presence, this is a wine of considerable nobility. With loads of blueberry, black currant and violet-infused fruit and a heady alcohol level above 13.5% (although that looks modest compared to several other first growths, particularly Chateau Latour and Chateau Haut-Brion), its beautifully sweet texture, ripe tannin, abundant depth and profound finish all make for another near-perfect wine that should age effortlessly for 30-40 years."